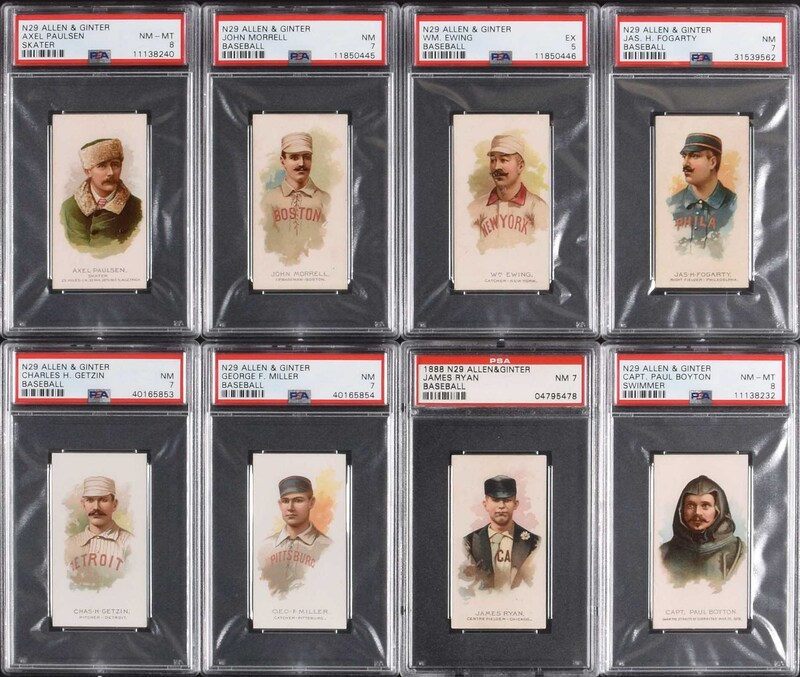 Lot # 81: 1889 N29 Allen & Ginter Complete Set (50): #2 PSA Set Registry! 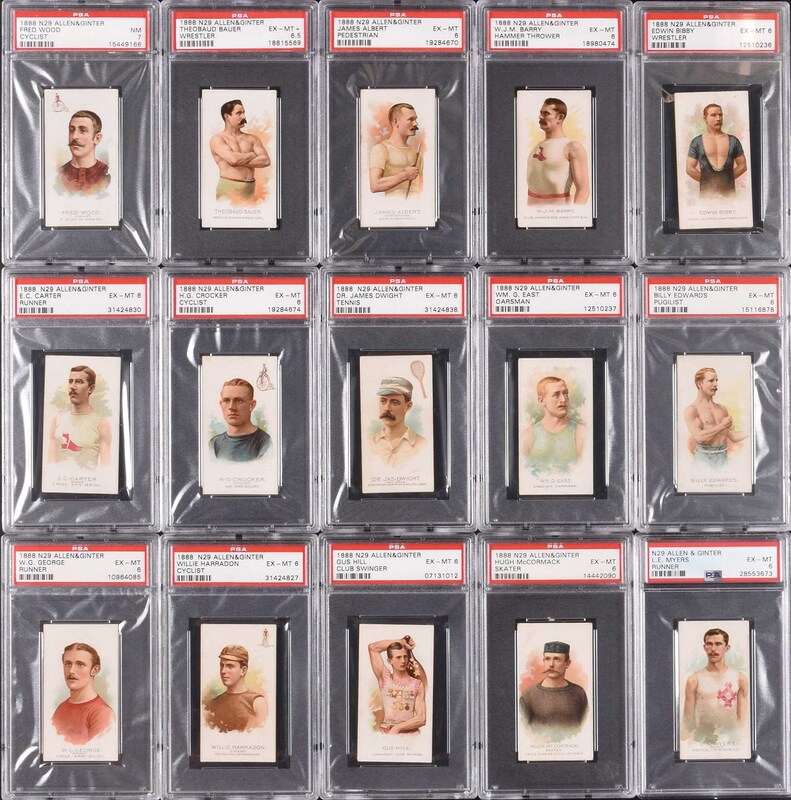 Presented is an exceptional high-grade complete 50-card set of N29 Allen & Ginter "World's Champions" second series. This is one of the finest complete sets of N29s that we have ever offered! N29 Allen & Ginter "World's Champions" have long been recognized as one of the most beautiful of all nineteenth-century tobacco-card issues. The set features champions and stars of the day from a wide variety of sports. Key to the set is the inclusion of six baseball players, among them Hall of Famer Buck Ewing. 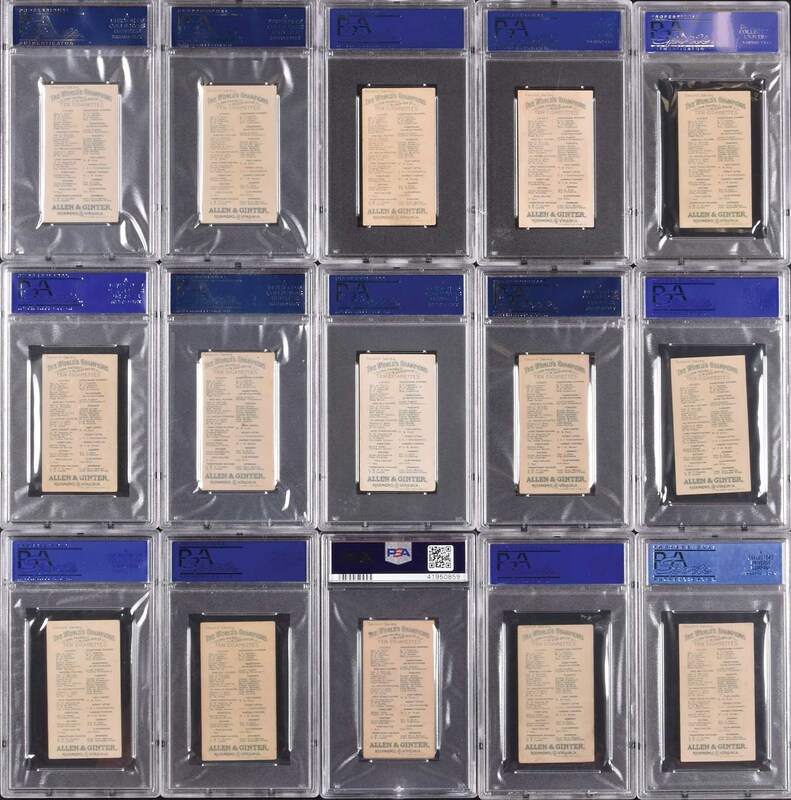 Among this complete set's many high-grade cards are a few incredible "blazers" that would literally be at home in the finest N29 set in the world. 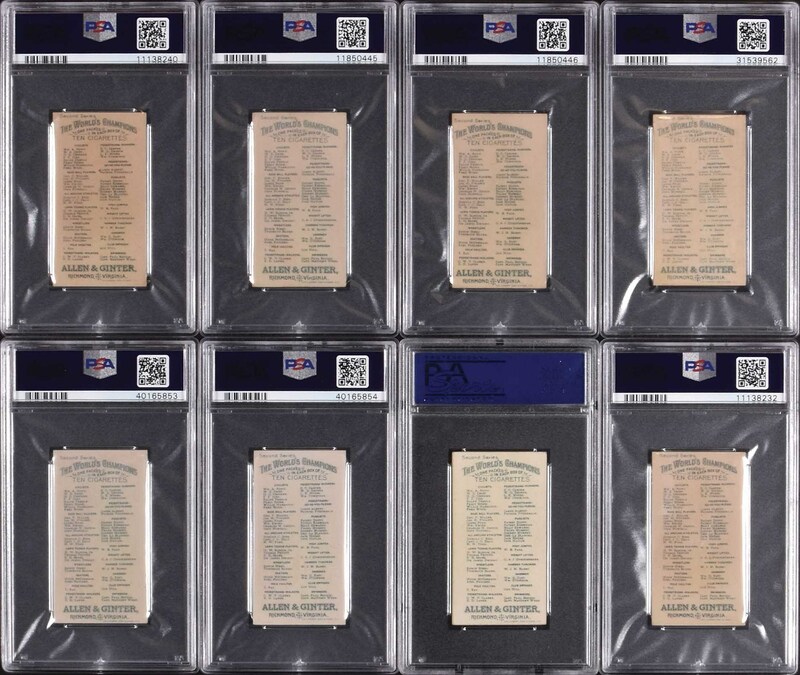 The entire set is graded and encapsulated by PSA and ranks as the second finest set on the PSA Registry with an overall GPA of 6.18. 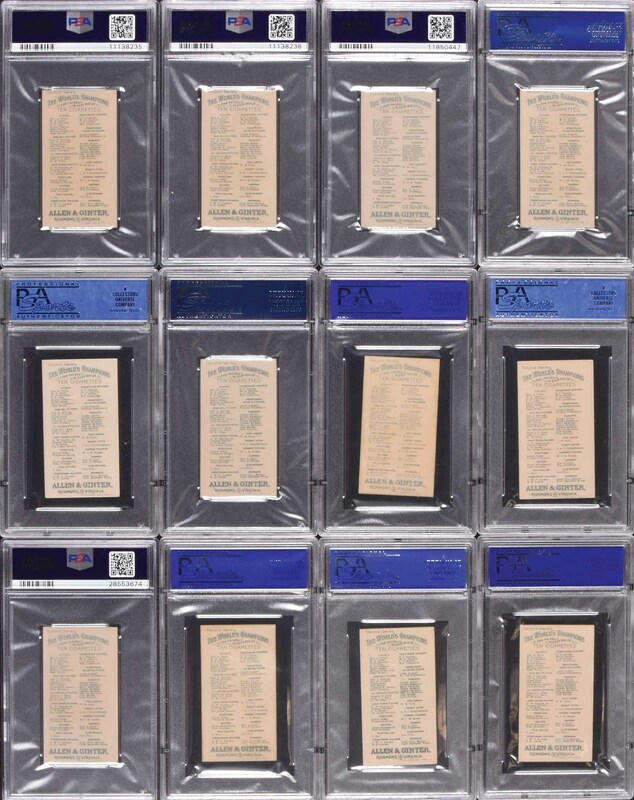 Five of the fifty cards in the offered set are the highest graded examples listed on the PSA Population Report, and of those five cards one is the only example graded at that level. PSA Grading Report: NM-MT 8 (5 cards): Boyton (1 of 2, highest graded), Daly (1 of 2, highest graded), Ives (1 of 3, highest graded), Lange (1 of 2, highest graded), and Paulsen (1 of 1, highest graded). 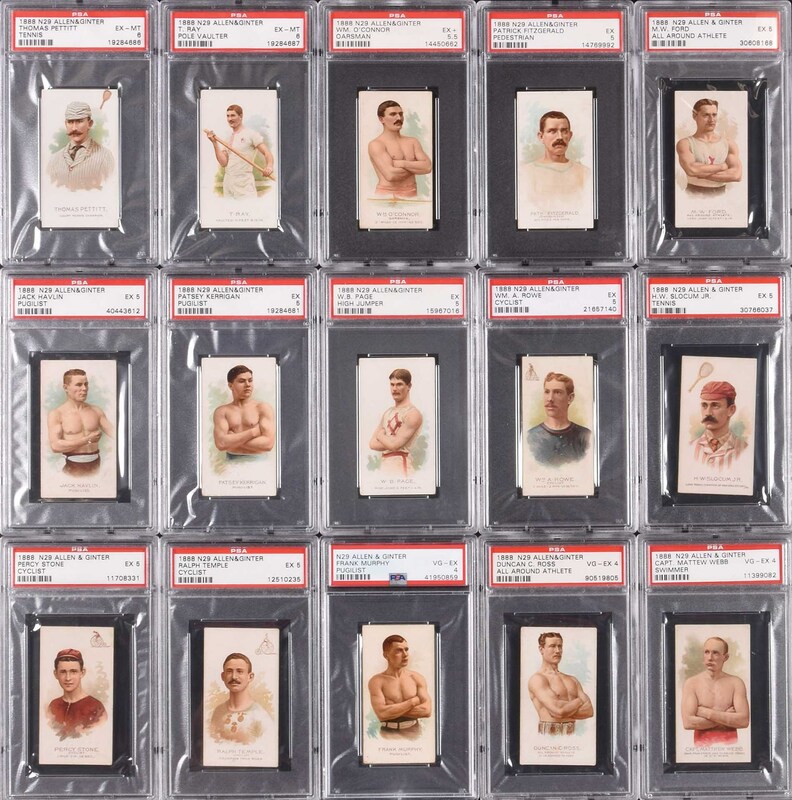 NM 7 (15 cards): Clarke, Crist, Cummings, Duffy, Fogarty (baseball), Getzin (baseball), LaBlanche, McGee, Miller (baseball), Morrell (baseball), Murphy, Queckberner, Ryan (baseball), Sears, and Wood. EX-MT+ 6.5 (1 card): Bauer. EX-MT 6 (15 cards): Albert, Barry, Bibby, Carter, Crocker, Dwight, East, Edwards, George, Harradon, Hill, McCormack, Myers, Pettitt, and Ray. EX+ 5.5 (1 card): O'Connor. 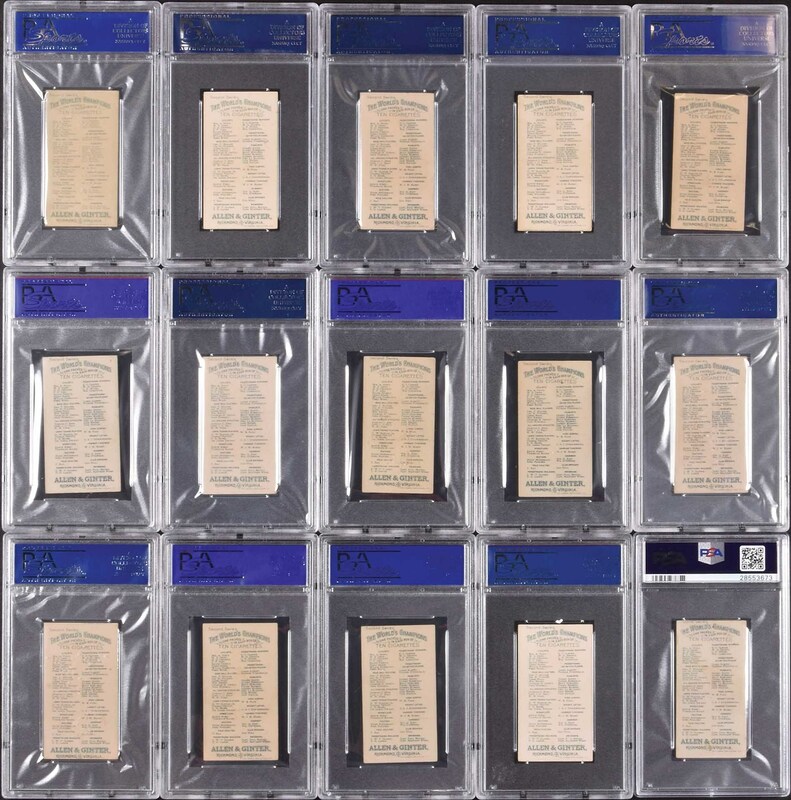 EX 5 (10 cards): Ewing (HOF, baseball), Fitzgerald, Ford, Havlin, Kerrigan, Page, Rowe, Slocum, Stone, and Temple. VG-EX 4 (3 cards): Murphy, Ross and Webb. All of the few lower-graded cards have a far superior appearance than suggested by their technically accurate assigned grades. 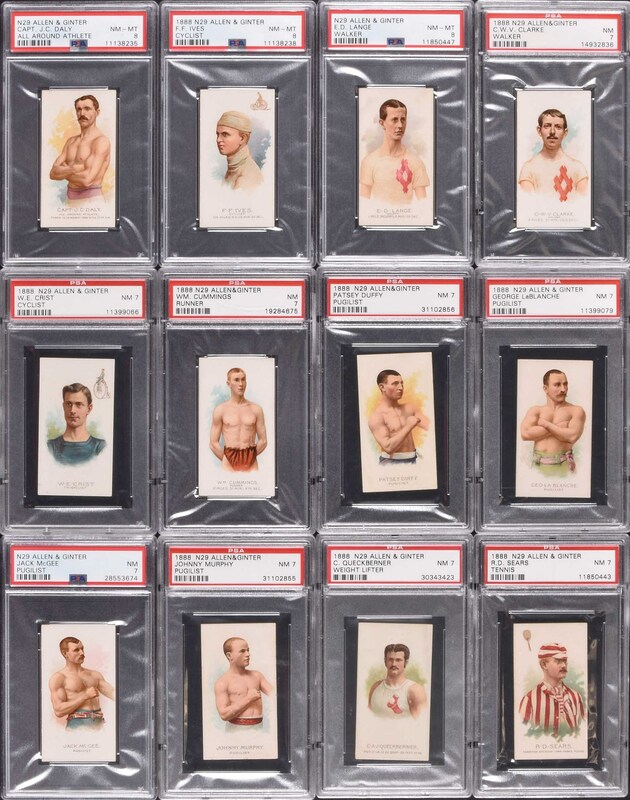 This is a rare opportunity to acquire an exceptional high-grade complete set of N29 Allen & Ginter. The total SMR value for just the six baseball players (the only subjects for which an SMR listing exists) is $6,250. Total: 50 cards. Reserve $5,000. Estimate $10,000+.